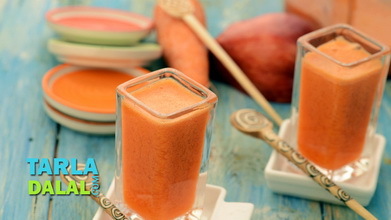 This snazzy orange coloured-carbohydrate rich juice is a fulfilling breakfast idea. Lemon juice makes it more interesting by imparting a tangy flavour. 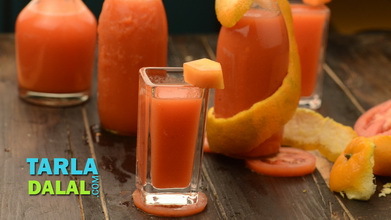 Papaya helps to maintain blood glucose levels. As there is a steady supply of glucose, you feel energetic throughout the day. It also has a laxative effect thus helping to relieve constipation. 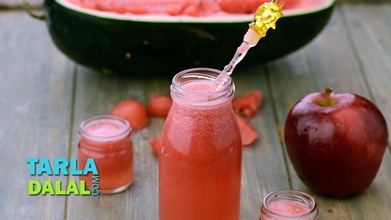 As a an added benefit, melons contain a substance adenosine that makes blood less sticky, thus reducing the risk of blood clots and heart attack. 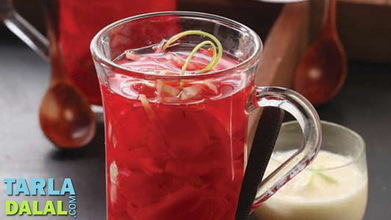 Because of its high vitamin content this tango is a boost to the immune system as well. 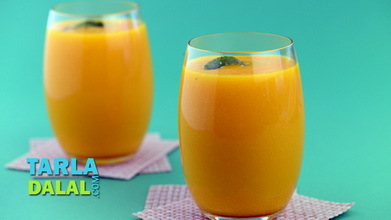 Combine the papaya, muskmelon, lemon juice, crushed ice and 1/4 cup of water in a mixer and blend till the juice is smooth. 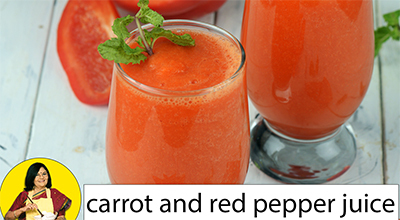 Pour equal quantities of the juice into 2 individual glasses and serve chilled. 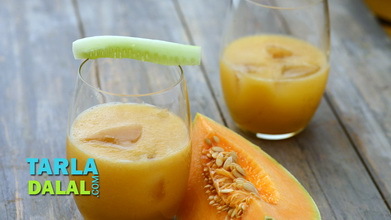 Combine the muskmelon and papaya cubes and blend in a juicer till smooth. Strain the juice using a strainer. 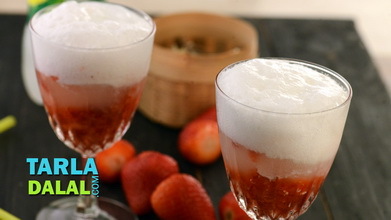 Add some crushed ice in 2 individual glasses and pour equal quantities of the juice over it.